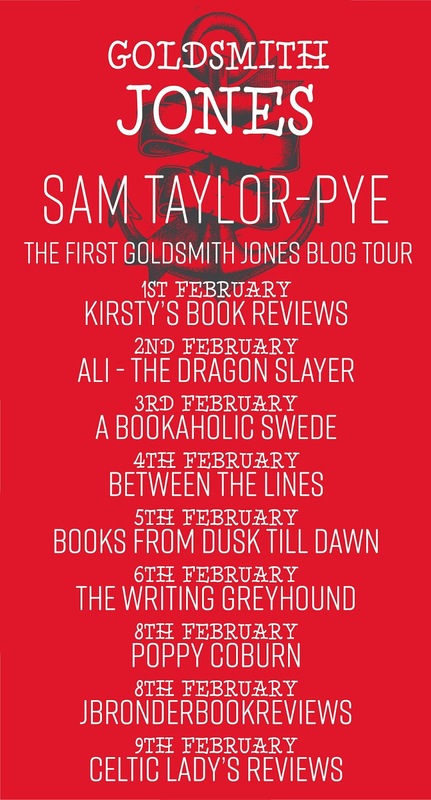 FIRSTLY I MUST SAY BIG THANKS TO RACHEL OF AUTHORIGHT FOR INVITING ME TO TAKE PART ON THIS BLOG TOUR FOR GOLDSMITH JONES BY SAM TAYLOR-PYE I HAVE THROUGHLY ENJOYED EVERY SECOND. Fourteen-year-old Goldsmith Jones is left stranded in crime-ridden, gangland territory. He finds himself living at The Shades, a home to local street kids. While selling sexual favours down the Dead Man’s Alley to survive, Jones is charmed by a seaman he knows as Sweet Virginia. Moving further away from the relative security that The Shades and his best friend, Raccoon, offered him, Jones is drawn ever closer to the manipulative Sweet Virginia. When Raccoon falls gravely ill and is taken to convalesce on the rural Rancheria, Jones is left under the controlling powers of the unscrupulous navvy. Swindled and wrongly accused, he is unexpectedly rescued by the leader of the villainous Suarez Brothers, the charismatic Saul. Faced with a choice between becoming Saul’s ‘little brother’ and saving Sweet Virginia’s life, Goldsmith Jones must embark on a dangerous journey which will change his young life forever. What an absolutely stunning debut novel Sam Taylor-Pye delivers! Set in San Francisco 1863, I was literally thrown into a harsh and cruel world, where society thought it acceptable for children of any age and of both genders to sell their favours to men, all too eager to abuse them. This isn’t just a book about abuse, this is a book about the hard facts of how it really was. It takes courage to write like this, no pulling punches but the account of a young boy at a time when he needed help more than any other time in his life. 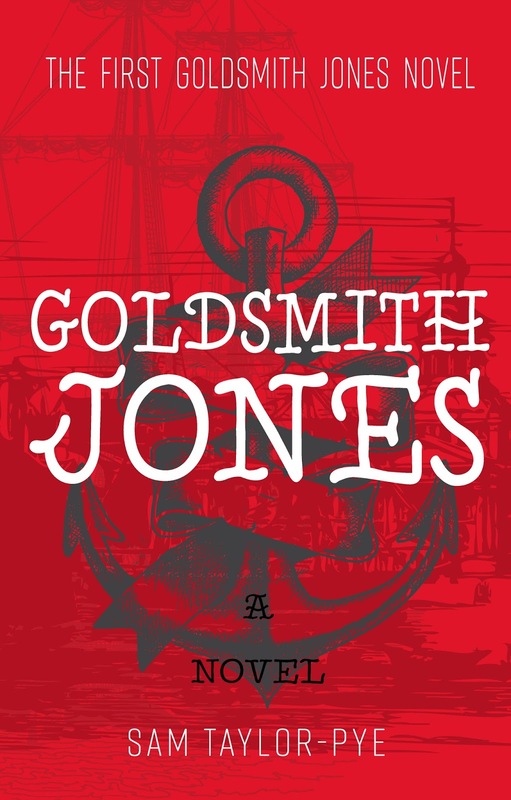 The author, Sam Taylor-Pye, firstly introduces you to Goldsmith Jones, what a wickedly brilliant name, at the age of 14 just after tragic events have taken place, making him orphaned and outlawed. He is such a sweet boy that has such an innocence about him you just want to nurture the lad yourself, but there is no fall safe and he is soon taken under the wing of a lad that is more worldly wise. Goldsmith Jones simply has to do what he has to in order to survive and your heart breaks for this young lad whose trust and need for the feeling that someone gives a damn is given freely to some just to feel loved. The characters are abundantly colourful in this black era as pay offs, dog fighting, bear pits, turning a blind eye and hangings that form as much of an entertainment as punishment for crime, are more than common place. Not everyone is cruel but sometimes the sacrifice is either a friend or yourself. There are many heart in your mouth moments in the book which are very graphic but also very necessary. A brilliant book! Sam Taylor-Pye grew up on the border between Washington state and British Columbia, Canada and currently lives in Kent in the UK. She received her BA from the Open University, and has an MA in Creative Writing. This is her first published novel.